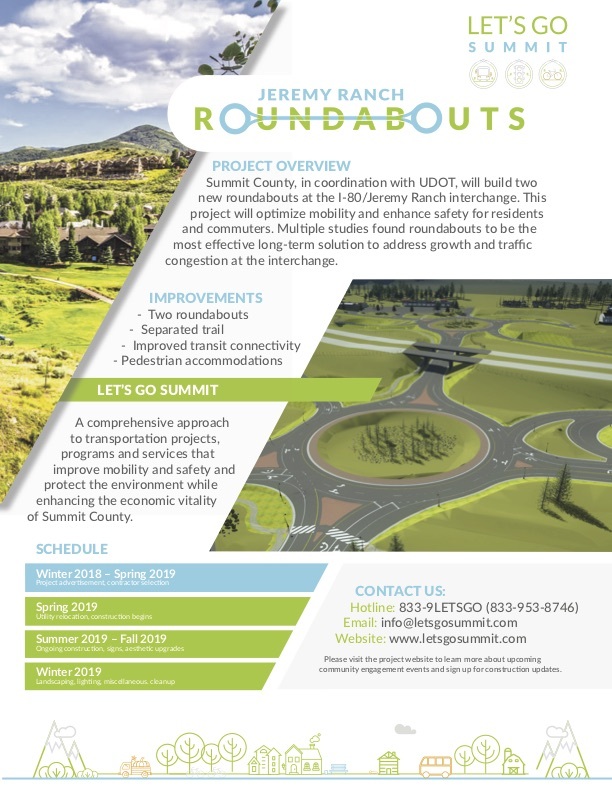 The anticipated start date is early May, weather permitting, and the county hopes to finish all major infrastructure by October-November 2019. Final landscaping and cleanup will most likely be completed in late 2019 or 2020. The park-and-ride lot on Rasmussen road will be closed during construction, with the bus pickup being moved to the Ecker Hill Middle School parking lot. The contract allows for night-time work for low-impact type of construction, such as paving, curb and gutter, etc. Jack-hammering, blasting or other loud activities will not be permitted. Summit County will disseminate information via Nextdoor.com, their website, and email. You can sign up for email alerts regarding road construction here. Information regarding detours and construction schedules will be provided with as much advanced notice as possible so commuters will have time to plan their travel schedule. Please respect that the Pinebrook HOA has no influence in this matter. Summit County has pledged to pass along timely information to the affected communities as quickly as possible. Questions and concerns should be directed to the County via their contact information above. Please do not contact your Homeowners Association with concerns/complaints. 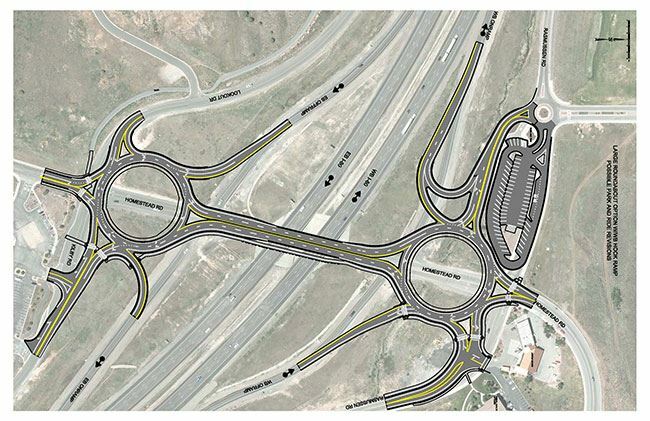 The County and UDOT own the construction project, construction timeline, and any related problems the project may cause. The annual meeting of the Pinebrook Homeowners Association for 2019 has been scheduled on Tuesday, April 16th, 7:00 pm at the offices of Gorgoza Mutual Water Company. The official meeting notice and agenda can be found here. If you can’t attend and wish to make another current HOA member your proxy, that form can be found here. Please deliver any signed proxies in a timely manner to the secretary or an HOA board member. Thank you. A break in the water main on Stagecoach Drive occurred at approximately 2pm on Saturday, February 16th. It doesn’t take long for fire hydrants to get buried once it starts snowing for real in Park City. Please make the effort (or recruit a few neighborhood high school students) to dig out the fire hydrants near your home if they’ve been buried. There are dozens of hydrants in Pinebrook, and even though Gorgoza Mutual Water Company’s staff tries to keep as many cleared as possible, there’s simply too many hydrants and not enough staff to get to them all. Your cooperation and efforts are greatly appreciated! The next Pinebrook HOA board meeting is scheduled for Tuesday, February 5th at 7pm at the offices of Gorgoza Mutual Water Co. As always, members of the PHOA are welcome to attend. If anyone has items they’d like to discuss with the board, please send an email through the website to be added to the agenda. Thank you. The next Pinebrook HOA board meeting is scheduled for , Tuesday, January 8th, 2019 at 7pm at the offices of Gorgoza Mutual Water Co. As always, members of the PHOA are welcome to attend. If anyone has items they’d like to discuss, please send an email through the website to be added to the agenda. Thank you. Water Outage 12/5/18 on Stagecoach Dr.
NOTICE: Gorgoza Water Co. is working to repair a water main break Today, DECEMBER 5TH, on STAGECOACH DRIVE, with water service returning on or before 4:30 pm. Thank you for your patience. The next Pinebrook HOA board meeting is scheduled for Tuesday, December 4th at 7pm at the offices of Gorgoza Mutual Water Co. As always, members of the PHOA are welcome to attend. If anyone has items they’d like to discuss, please send an email through the website to be added to the agenda. Thank you.